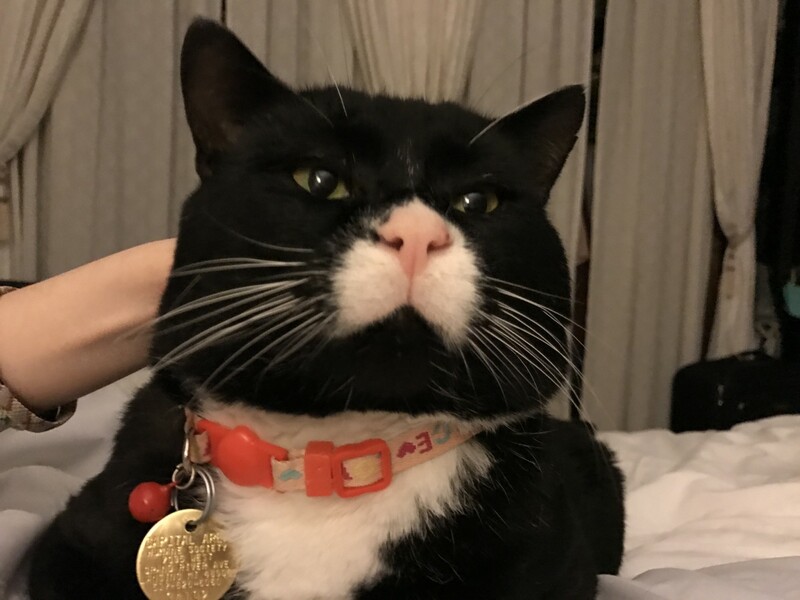 Edgar came to us in July 2016, when Dr. Lewis brought him home from a conference in Texas. 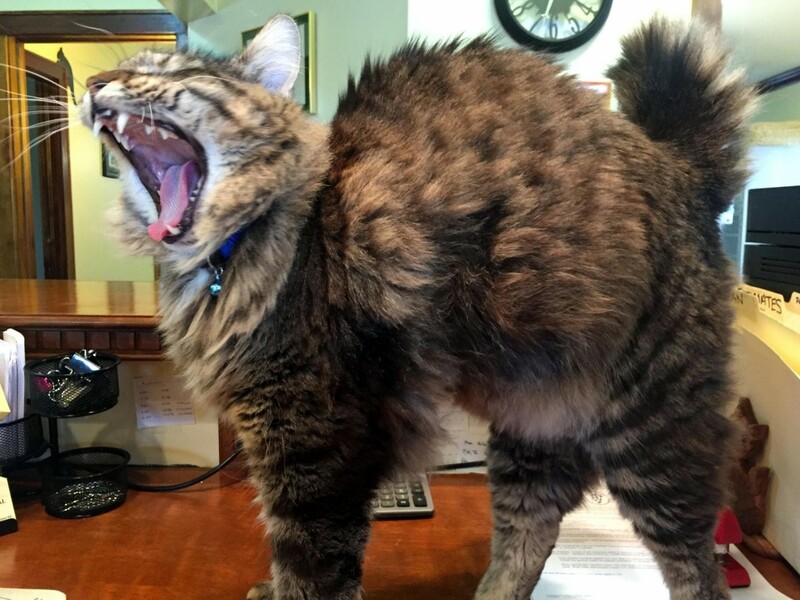 Edgar is a big, domestic long haired, brown tiger cat that can usually be found at the front desk, where he "helps out" by sprawling across a keyboard or telephone. 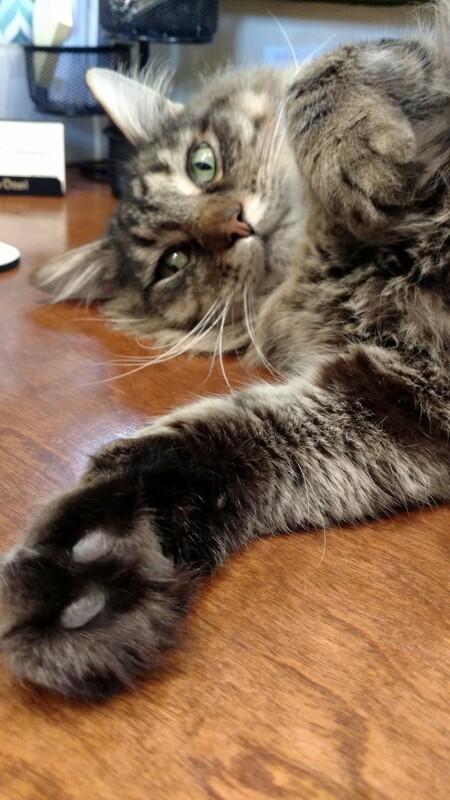 In his spare time, Edgar enjoys eating, playing with fur mice, and snuggling. Buddy is a rescue from the Capital Area Humane Society. We don't know much about his life before he came to live with us, but his days now are filled with lounging, playing with bouncy foam balls, and meeting new people. 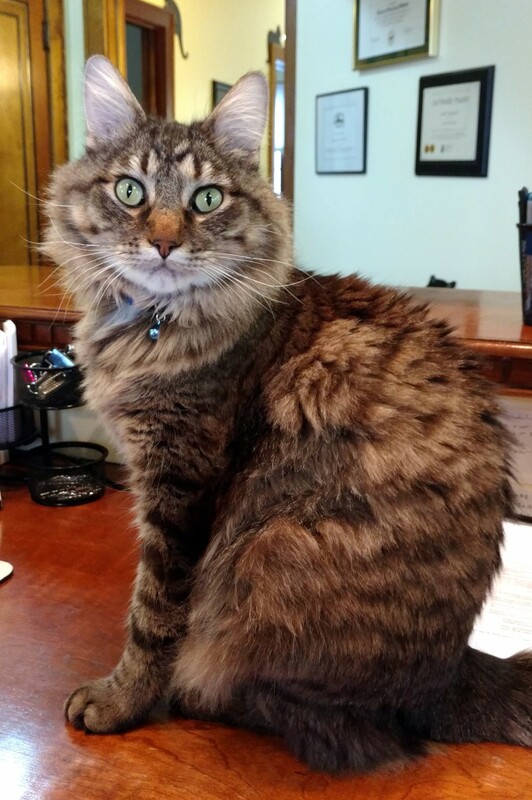 Stop by the front desk to give his ears a scratch!